The Volumetric Glassware Starter Kit is designed for general laboratory use. 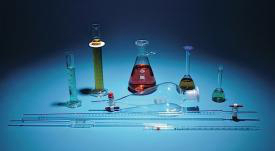 Use as an initial labware starter kit or to add onto your inventory. 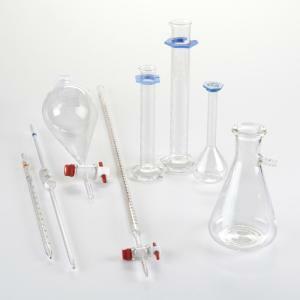 Ordering information: This kit includes 1 burette, 50 mL straight bore, ptfe stopcock; 1 cylinder, double scale, 50 mL; 1 cylinder, double scale, 100 mL; 1 flask, filtering, 500 mL; 1 flask, volumetric with snap cap, 50 mL; 1 flask, volumetric with snap cap, 100 mL; 1 separatory funnel, conical, 500 mL; 6 pipettes, measuring (Mohr type), class b, 0.10 x 10 mL graduations; and 6 pipettes, transfer, volumetric, 25 mL.